Bargarh: 6/11/18:The dates for the world’s largest open air theatre, Dhanu Jatra, were announced on Monday. The 11-day festival will begin on January 11 next year. This was decided at Dhanu Yatra Core Committee meeting chaired by Bargarh collector Indramani Tripathy this afternoon. Plans to ensure smooth conduct of the festival were also discussed. The meeting was attended by SP Mukesh Bhamu, Bargarh MLA Devesh Acharya, MP Prabhas Kumar Singh and Dhanu Yatra committee secretary Sureswar Satpathy, among others. Artistes for the theatrical presentation will be selected in the next meeting, sources said. During the festival, the small town of Bargarh is decked up as Mathura, the kingdom of Kansa, while Jeera river becomes the Yamuna and Amapali, on the outskirts of the town, the mythical land of Gopapura. It begins with the demon king and uncle of Lord Krishna ascending the throne and concludes with his death. 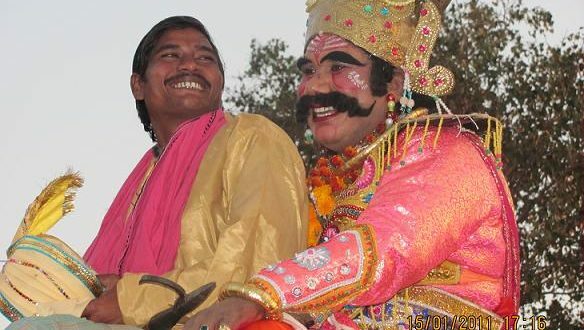 Dhanu Jatra is being held in Bargarh since 1947.